Jane joined Staffordshire Police in 1984 and has worked in every rank in the force in both operational areas and in a number of headquarters based roles. Jane attended the 2010 national Strategic Command Course and in July 2010 was appointed as an Assistant Chief Constable in Staffordshire. She had the Crime and Operations portfolio and was responsible for Tactical Support, Major Investigation, Intelligence, Forensics, Serious and Organised Crime and Public Protection. 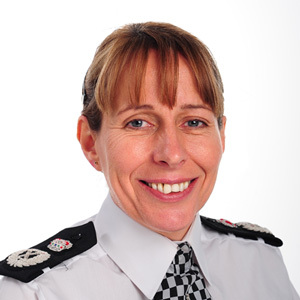 In February 2013 she became the temporary Deputy Chief Constable for Staffordshire and in March 2014 was promoted permanently into the position. In June 2015 Jane was appointed as the Chief Constable of Staffordshire Police. Jane is the National Police Chief’s Council lead within policing for lesbian, gay, bisexual and transgender matters.